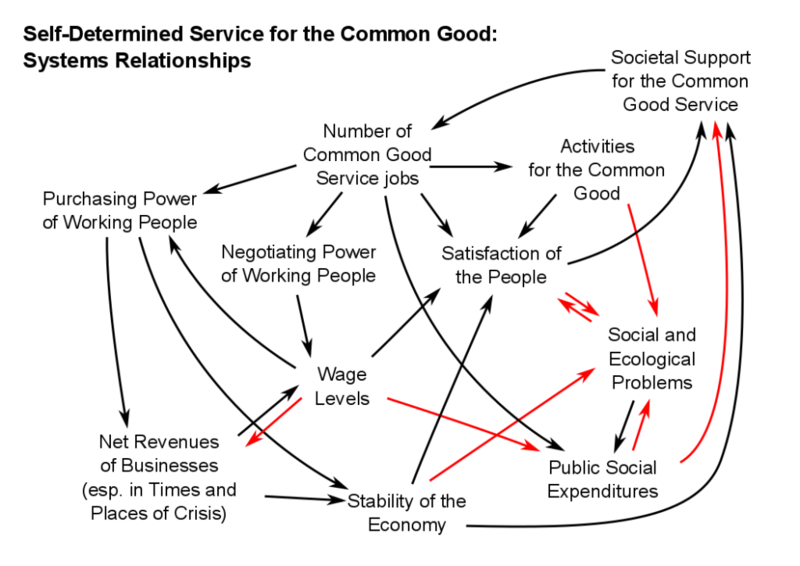 What kinds of changes would happen in the economic system if a self-determined service for the common good was introduced? 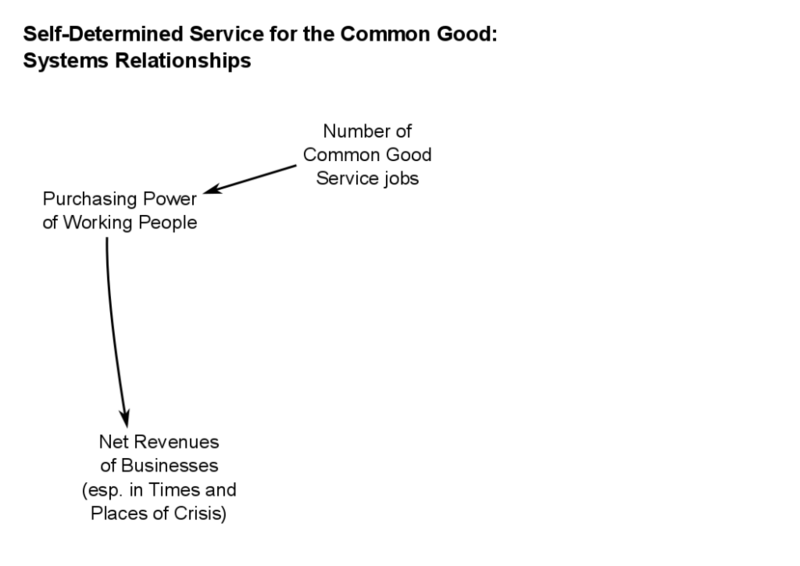 I base this discussion on the assumption that a common good service is introduced at a small scale and then expanded. 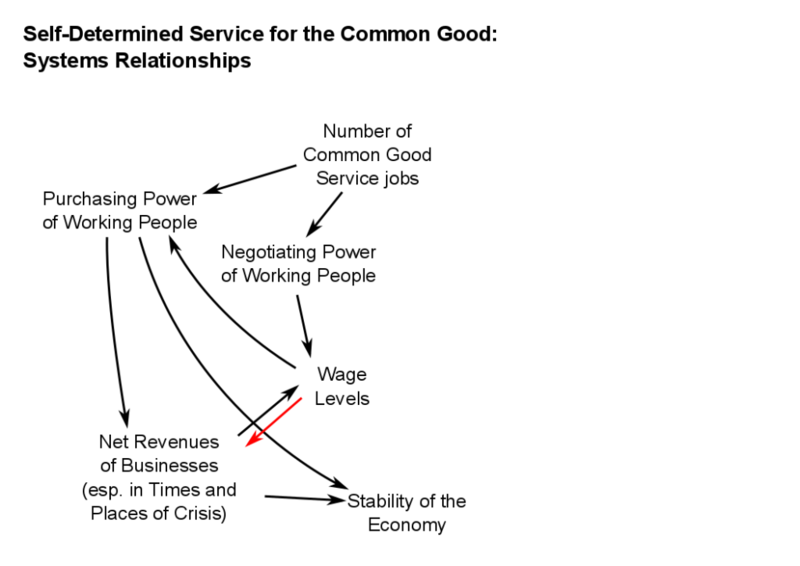 My question is: what effects would an increasing number of service positions have on the economic system? The first, direct effect is that the service workers have more money. Since most of them do not have much money, they spend almost their entire income every month. This leads to an increase in consumption expenditures. The consumption expenditures benefit businesses – especially in regions with high unemployment rates and during times of crisis, because these are the situations in which many people will come forward to do a common good service, and where their consumption expenditures are noticeable in comparison to the entire local economy. As a result, the economy as a whole is stabilized. Businesses in times and places of crisis can hire more people or avoid laying them off. 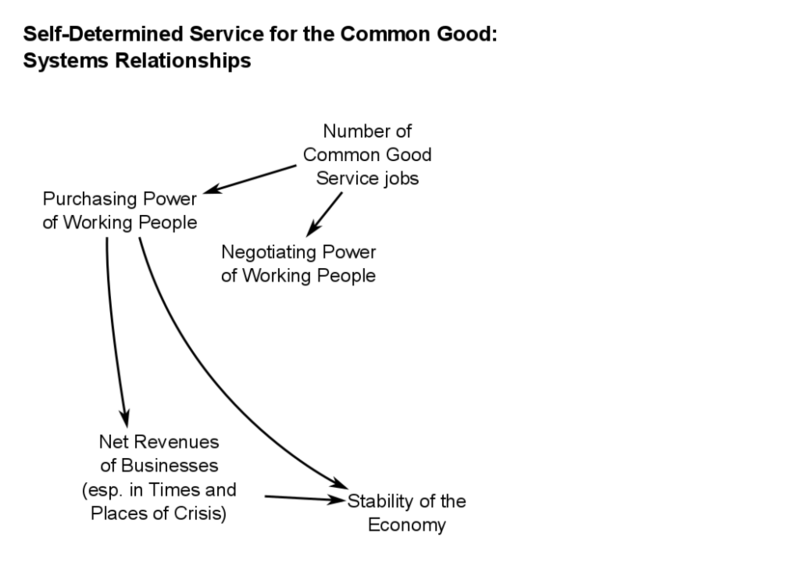 A large number of Common Good Service position strengthens the negotiating power of working people. People who receive low wages have an exit option that is better than their current employment – both in terms of the level of payment and of job satisfaction. They can perform a Common Good Service while reducing a full-time job to half-time, or giving up a half-time job altogether. Unions can also point out this option of their members when negotiating about wages. The stronger negotiating position of working people enables them to obtain higher wages. The larger revenues of businesses allow them to make these concessions (despite the fact that higher wage levels have a direct negative effect on net revenues, symbolized by the red arrow). The increased wages strengthen the buying power of previously poorly paid people, helping to stabilize the economy by means of consumption expenditures. 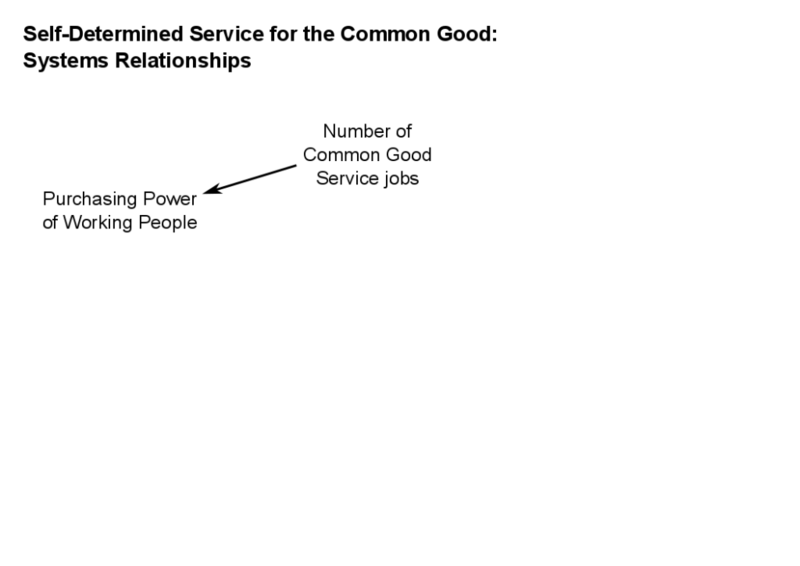 An increased number of Common Good Service positions means that more people engage in activities that promote the common good. 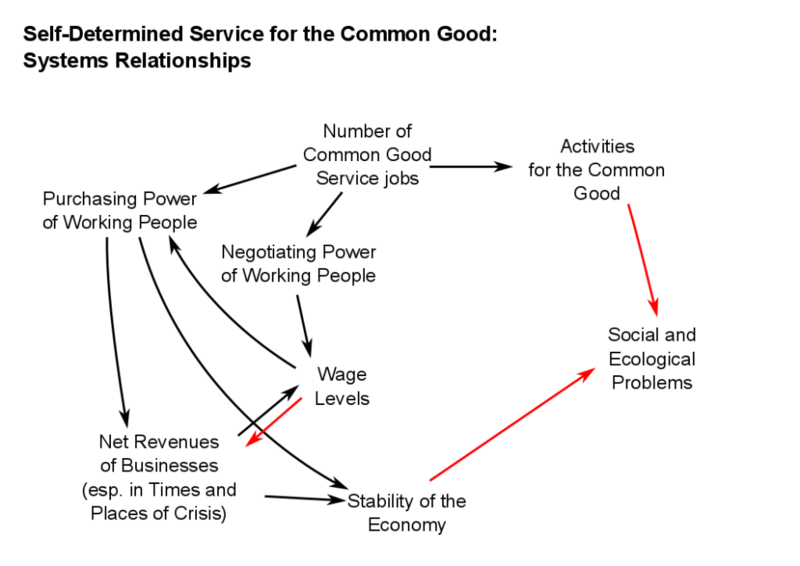 These activities as well as the greater economic stability help reduce social and ecological problems. Reduced social and ecological problems allow the state to reduce some of the expenditures devoted to addressing them. Pay increases to the benefit of poorly paid workers reduce the number of people who require supplementary social assistance. 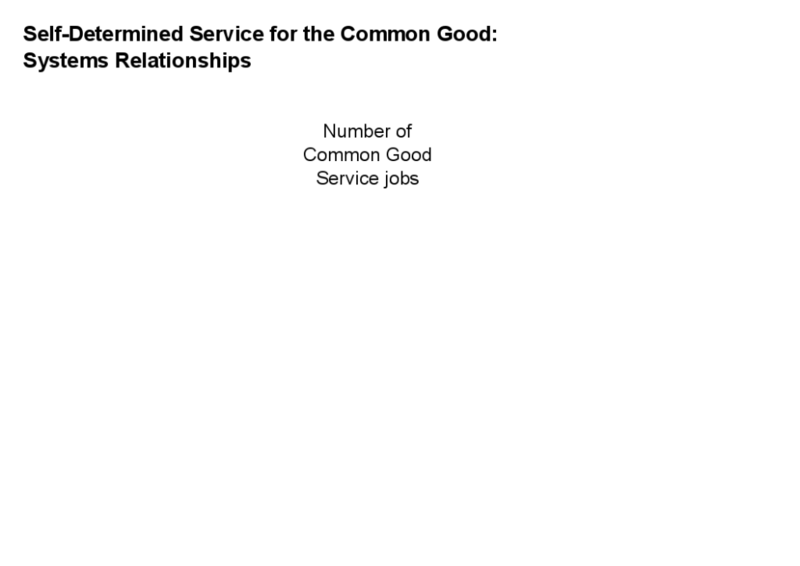 Common Good Service workers who previously required other types of social assistance do not need it any more, or not to the same extent. 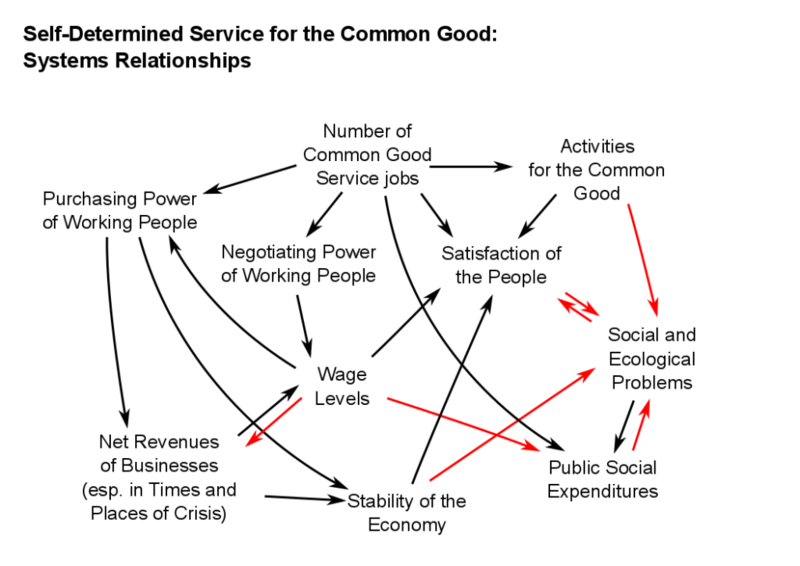 The favorable (direct as well as indirect) effects of the Common Good Service are likely to contribute to the satisfaction of the people. 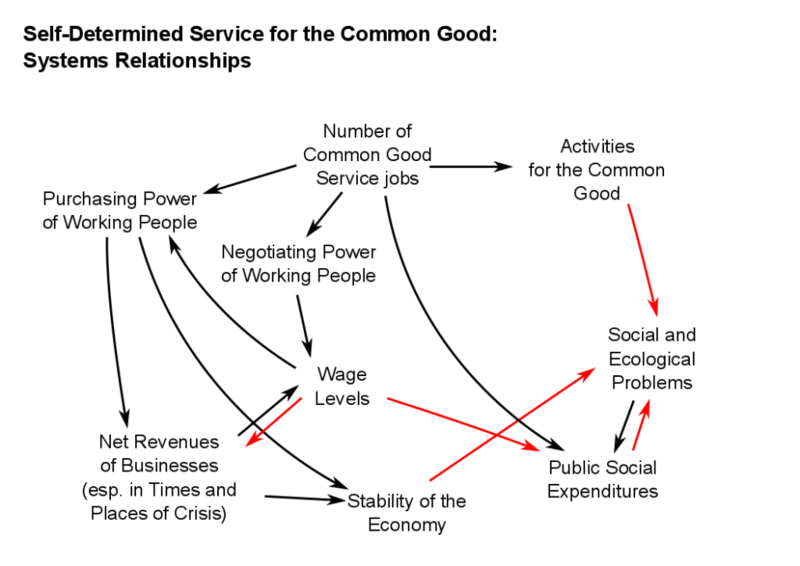 As a result, there would be widespread popular support for expanding the Common Good Service, leading to pressure on all political parties to increase the number of positions. 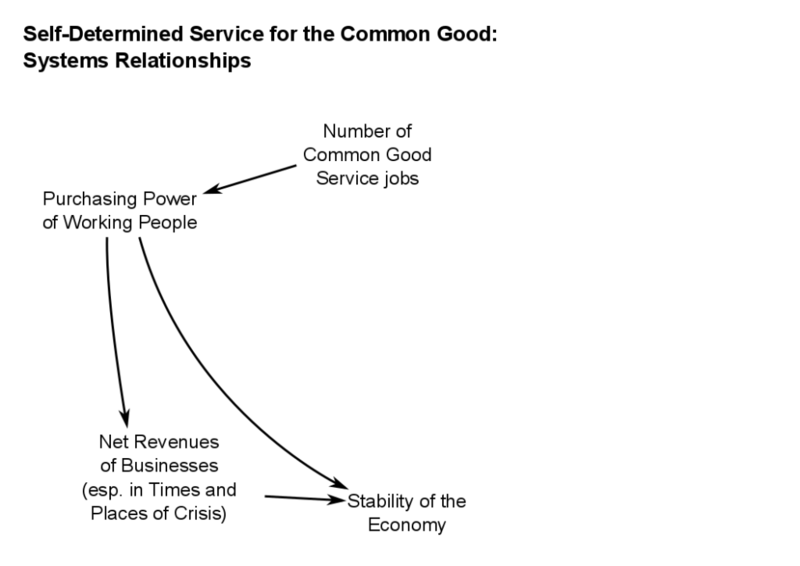 Thus, the Common Good Service could gradually be expanded until it meets the unmet demand for jobs – in a similar way as the franchise was historically expanded to more and more categories of people.